Do you eat cabbage? If so, how do you like it? Raw, cooked, roasted ? In the soup or salad? I generally eat it raw, as a snack but I also make soups, casseroles, salads with it. I personally think that cabbage is totally underrated and it is not used enough in daily cooking. It contains such a great source of vitamins, nutrients, it’s low calorie and it is cheap to buy, too. 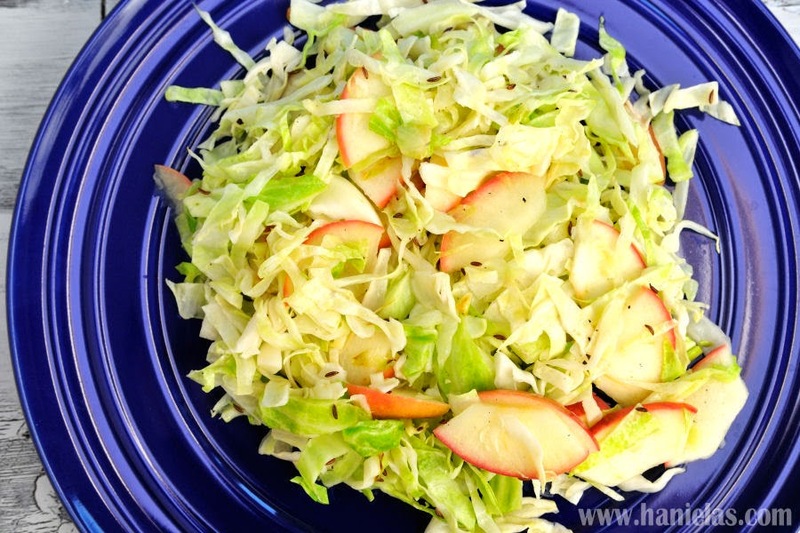 Toss cabbage and apple with seasonings. Heat oil in a large skillet over medium high heat. Add cabbage apple mix. Cook stirring frequently 2 minutes, Add diced garlic if using. Cook for 5-10 minutes, until apple and cabbage are just getting tender but still have little crunch. You don’t want apple to get very soft.